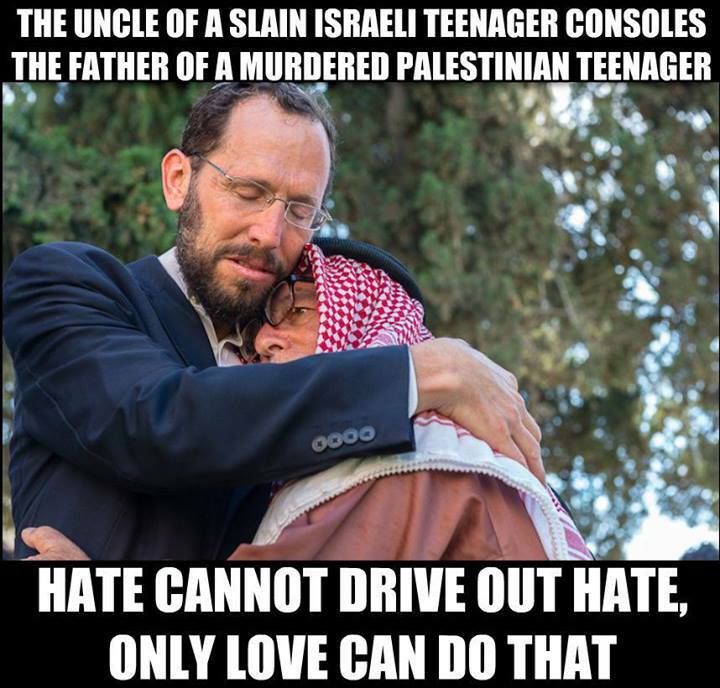 Hello, I am the cousin of Mohammad Abu Khdeir and I’m only commenting on this post to let you know that the picture above supposedly of my khalo (uncle) Hussein being hugged by a jewish man, is NOT in fact my uncle…I don’t know who either man is..you can easily find a picture of my uncle by googling his name and you’ll see this man does not resemble him at all..Please replace it..thank you. Wadha. Can’t help wondering, given his past statements, if Levi is referring to me and Harry’s Place here, given that I certainly retweeted this. I was chided for doing so by someone on ‘my side’ (if we must think and talk in the language of football supporters). Steve always strikes me as truthful, and willing to engage with the problems on his own ‘side’ – e.g. in his post about antisemitism in pro-Palestinian networks. How does it help if these things are brushed aside – or indeed the fact that Israeli flags adorn the margins of a good many counter-jihadist websites? Facing up to the fact that not all Palestinians have views he welcomes makes no difference to what Steve says about the occupation etc, and strengthens his credibility when he does simply want to criticise something Israel has done. You would have thought that the main reason people spend so much time blogging and commenting on I/P might be in the hope of shifting readers’ views, but too many on both sides seem more interested in grandstanding and strengthening the (virtual) separation barrier which arbitrarily divides people into two opposed camps. Sarah, I’m glad you’ve got the self-awareness to see yourself in “this or that lying racist from this or that racist website”. When you say that Steve strikes you as being truthful I think you must mean you like what he says. He is not always truthful and you must know that. On the question of antisemitism and opposition to Israel’s continued existence as a state specially for Jews he has resorted to evasions and straight up falsehood; in fairness, mostly evasions. What I think happens with some of these human rights activists in Palestine is they don’t realise at first quite how much Israel means to some powerful interests and when they do come to realise they either capitulate to racism even if it means lying and smearing various people, they avoid the cause altogether or they redouble their efforts to expose the whole gamut of zionist rule and its essentially racist and on-going war criminal underpinnings. Steve has chosen the first of these at the expense of the last and at the expense of his integrity. It wouldn’t be fair to make too much of an issue out of Steve being called truthful by a Harry’s Place blogger and a co-blogger of Ben Gidley and David Hirsh, but that alone should at least hav him asking questions of himself. See what I mean? Your latest response is both evasive and dishonest. You refuse to address specific points I have made and you make out I am simply objecting to your associating with racists. I’m not and you know I’m not. I said in a comment to an earlier post of yours that your degeneracy is complete and it is. This is getting tiresome to be honest. But for the last time I will attempt to answer your two points that you say I am being evasive about (1, my ‘support’ for Israel and 2, accusations of anti-Semitism in relation to attacks on Israel). So 1) I cannot and would not support a state that understands itself as only for one group of people. It is in this sense that (I think) we are in agreement in condemning Israel’s discriminatory laws. Where (I think) we differ is that I see no reason why Israel cannot reform from within through democratic processes to be a modern functioning democracy free from any discriminatory principle – although I will admit we are a long way off from this at the moment. I think Israel has a ‘right to exist’ in the same sense that every other nation does – with obligations. I also see no reason why Israel cannot celebrate its Jewish identity whilst also functioning as an inclusive democracy. More broadly, with the possible exception of sporting events, I don’t inherently support any nation. I support ideas and actions. I feel it is important to condemn Israel when the government acts against my values and support it when it acts in accordance with my own values. 2) I think a small number of people attack Israel due to anti-Semitic values. Israel’s obvious and self-proclaimed ‘Jewish identity’ makes it a target for such anti-Semitic attacks. As with all forms of discrimination I feel that it is important to be on guard against this whilst also balancing this with defending those who have been wrongly smeared as being anti-Semitic (when all they have done is legitimately condemned Israel for something) by those who wish to defend Israel whatever the cost. I don’t know if the whole HuffPo report is true or not any more than you do but I do know, as you should, that Nir Barkat is one of the prime movers behind the ethnic cleansing of Arabs from Jerusalem. 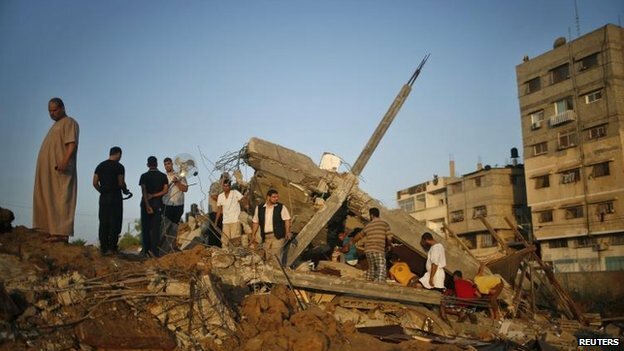 The answer to your question as to why, when Israel is slaughtering innocents in Gaza, you look for a good news story is probably bound up with your leaving the Palestinian cause behind your vehicle as it hurtles on to pastures greener. Maybe you want to salve your own conscience at the same time as winning praise from this or that lying racist from this or that racist website. I really don’t know but since you claim not to know either why don’t you focus on squaring the circle of your professed “liberal human rights dominated” values with your support for a state specially made and maintained for one ethno-religious community only? Address that and you could kill two birds with one stone. If you admit that Jewish supremacy can only be maintained by way of on-going human rights abuses you can ditch either your professed support for human rights or your support for Israel. That’s one. The other would be your treating these silly stories, lauding the efforts of a leading ethnic cleanser like Barkat, with the contempt they deserve. My guess is that you prefer the occasional pat on the back that stories like this will earn you from racists but I’d truly love to be wrong. Steve, you are human and looking for signs of shared humanity is just part human nature, whether concieved as naive or not 🙂 Thanks for an interesting read.